Anxiety is a common mental health disorder that affects over 40 million American adults. And, even if you don’t suffer from an anxiety disorder, there’s a good chance that you experience anxiety symptoms due to the stress, uncertainty and struggle that most people encounter on a daily basis. Taking supplements for anxiety might not fix all of your problems. But, if you decide to try some of the best natural supplements for anxiety, you’ll probably be pleasantly surprised by how peaceful you feel afterwards. 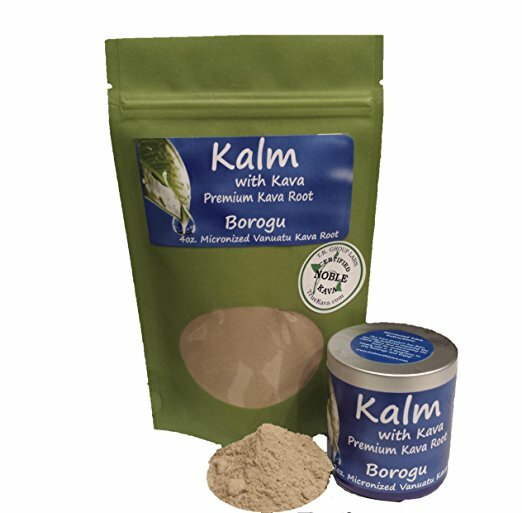 Kalm With Kava Micronized Instant Kava Powder (Amazon) is one of the very best sources of noble-certified kava root that anxiety sufferers can use. I like drinking kava because it’s extremely calming, almost to the point of taking a light dose of Xanax, but without the obvious downsides of using prescription benzodiazepines. Kava is a crop that has historically been consumed by cultures living on the Pacific Ocean (think Hawaii and New Guinea). But, in recent years, kava’s popularity has grown rapidly across the Western world. Kava’s effects are sedative, and it’s been shown in a Cochrane systematic review that kava seems to be effective at treating short-term anxiety. As far as safety goes, the World Health Organization (WHO) took part in a 2016 Technical Report (PDF file), and found that kava can be consumed with relatively little health risk. However, many people claim that kava has a reverse tolerance. This means that you may have to experiment with several doses of kava before you experience its benefits. If you decide to try kava, I recommend mixing it with ice cold chocolate almond milk in a nice BPA free Blender Bottle (iHerb). Because, the truth is that kava doesn’t taste good. But, mixing kava with some cold chocolate almond milk, and chugging the mixture down is a relatively painless process. It’s well worth it! 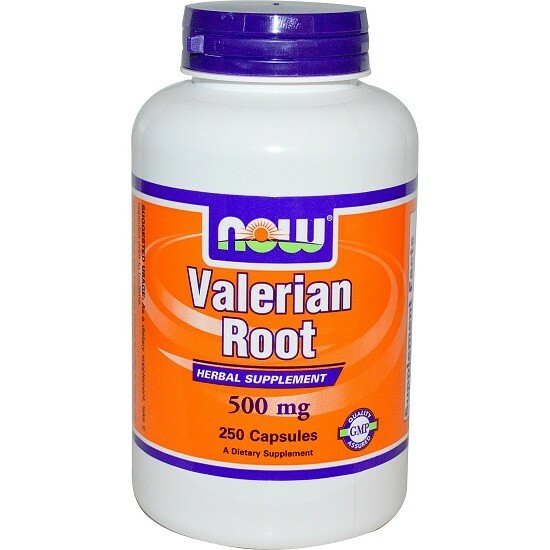 Now Foods Valerian Root (iHerb) is a trusted source of valerian root that I love using in the evening time, just before going to bed. Most people who deal with anxiety, and people who have trouble sleeping at night, would agree that valerian is quite a magical herbal supplement. Valerian is actually a perennial flowering plant that’s native to Europe and parts of Asia. And, valerian has been used as a medicinal herb since ancient times. Best of all, you can also use valerian in the daytime if you like. Many people take just one capsule of valerian root extract in the morning to serve as a light “anxiety fighter” throughout the day. Whether you want to kick back and relax at home, make it through the work day, or fall fast asleep – it’s absolutely worth giving valerian root a try. 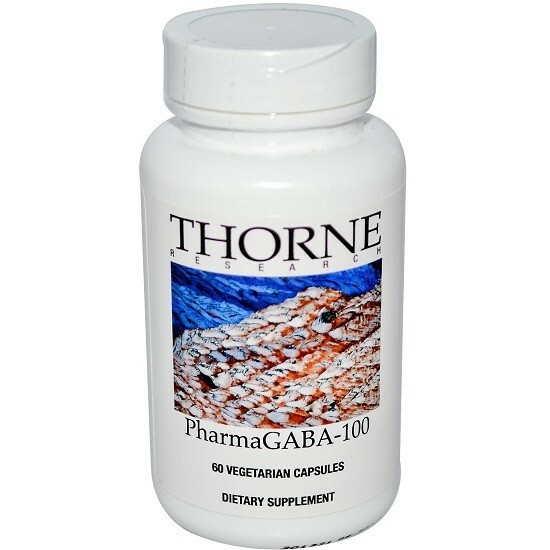 Thorne Research PharmaGABA-100 (iHerb) is currently the only natural source of GABA available. Luckily, this is a trusted GABA product that’s extremely helpful to many people in search of temporary anxiety relief. PharmaGABA is made with lactobacillus hilgardii, which is a type of lactic acid bacteria that’s commonly used to make kimchi. But most importantly, clinical studies have shown that PharmaGABA plays an important role in reducing anxiety and stress, improving focus, and boosting overall mental alertness. I find PharmaGABA to be super relaxing. So, I usually take this supplement in the evening, when I’m watching TV or maybe reading a book before bedtime. Using natural GABA feels really enjoyable, because you’ll likely experience some light euphoria in addition to anxiety relief after supplementing with a single serving. Some people even swear by using PharmaGABA as a natural alternative to Xanax or Valium! 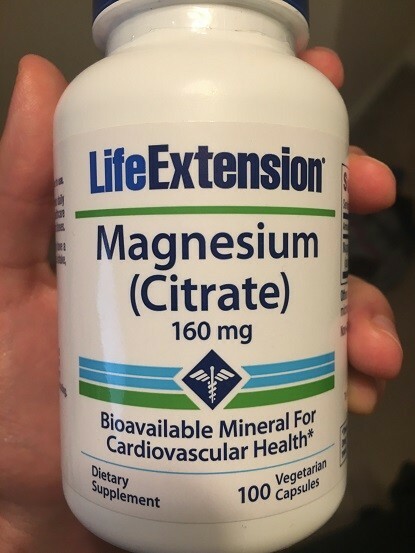 Life Extension Magnesium Citrate (Amazon) is one of my favorite supplements for calming the mind and stopping racing thoughts. Magnesium is an essential mineral that many people are missing out on. It’s believed that roughly 57% of Americans don’t get enough magnesium. If you suffer from magnesium deficiency, this may actually be the root source of your anxiety. In addition to causing anxiety in some people, magnesium deficiency can also lead to muscle spasms, fatigue, insomnia, irritability and various other health issues. But, not all magnesium is made the same. It’s important to supplement with a high-quality form of magnesium, like magnesium citrate, which your body can easily absorb. The Life Extension brand of magnesium citrate is my favorite, since it’s a trusted formula that will works wonders for your mood, mindset and overall health. 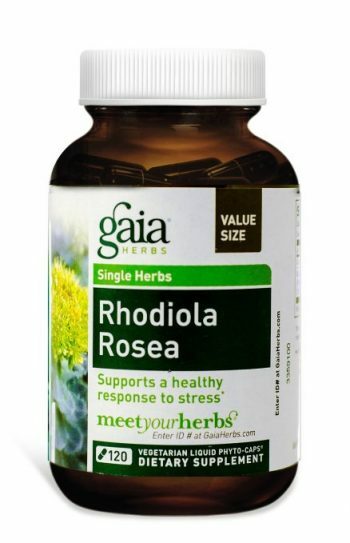 Gaia Herbs Rhodiola Rosea (Amazon) is one of the most “successful” natural supplements that anxiety sufferers have great luck with. This is because rhodiola rosea is an adaptogen that helps your brain respond to stress. And, the interesting thing about adaptogens like rhodiola rosea is that they can increase or decrease your body’s hormones, depending on your body’s unique needs. For example, if you currently have too much of the stress hormone cortisol, then taking rhodiola can help your body lower your cortisol, and get your stress level back in check. Lowering your stress and naturally balancing your hormones can lead to a massive improvement in your anxiety symptoms, and make you feel much better within a matter of weeks (or even days in some cases). 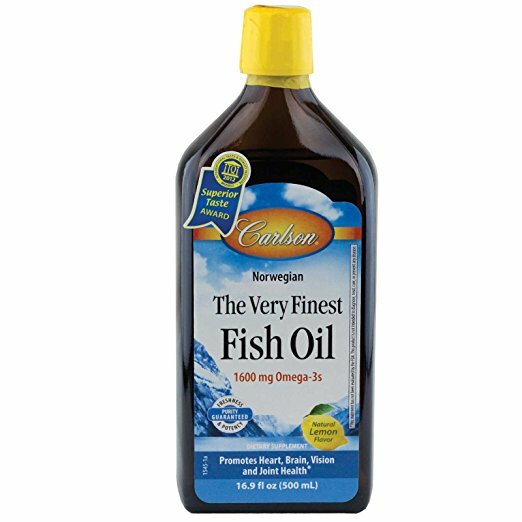 Carlson Labs Very Finest Fish Oil (Amazon) is the leading fish oil product in terms of value and quality. And, using good quality fish oil is the easiest way to get plenty of omega-3 fatty acids, and improve your mental and physical health as a result. For example, because fish oil satiates your brain with omega-3 fatty acids, this can reduce your brain’s inflammation, and help to ward off a number of brain disorders like Alzheimer’s and dementia. It’s also been shown that fish oil can help to alleviate ADHD symptoms as well. I’ve actually written an in-depth article about the benefits of using fish oil for ADHD symptoms. But most importantly, you can rest assured knowing that fish oil is extremely beneficial for people with anxiety as well. Most people can feel a difference after supplementing with fish oil, especially if your brain has been craving powerful omega-3 fatty acids. 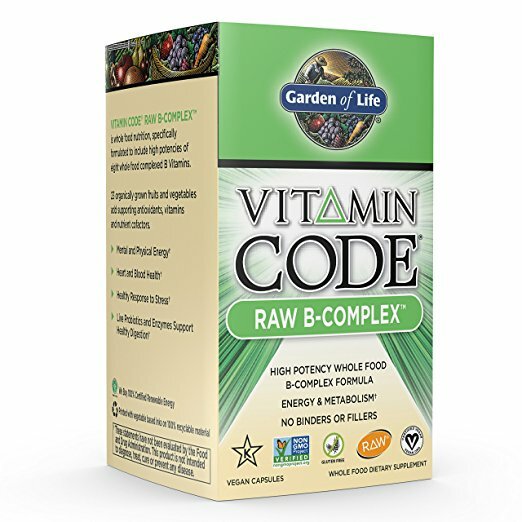 Garden of Life Raw B-Complex (Amazon) is my b-complex multivitamin of choice, because it’s an excellent food-based supplement that covers much of your nutritional needs. B vitamins are great for helping you manage your mood, stress level, and anxiety. This particular b-complex formula contains B vitamins like thiamin, riboflavin, vitamin B6, vitamin B12, biotin and more. It also contains an organic fruit & vegetable blend, plus probiotics and enzymes. I usually take my b-complex multi whenever I’m feeling stressed, fatigued, or overwhelmed. And after popping my b-complex, I almost always notice a significant improvement in my energy levels and mood. You’ll really enjoy using this natural anxiety supplement. By using any of the 7 best natural supplements for anxiety listed in this article, you’ll almost certainly enjoy a less anxious and more well-rounded lifestyle. I’ve had great success with all of the natural supplements in this article, and my anxiety is much more manageable as a result. I’m confident that you’ll experience a calmer and happier life too. Enjoy. Question? What would you recommend I try first? I have what I term “Unexplained anxiety”… there doesn’t have to be anything stressful going on – in fact there rarely is – life is good. But I always have this underlying and often intense degree of anxiety. I’ve taken Depacote in the past and currently take Zoloft. I guess it helps some – but what would you recommend as a natural supplement to adress my anxiety? Of course my first impulse is to buy every item that you listed above! Eric I wish I could help you further, but there are so many factors to take into consideration, because anxiety is such a complex issue. If you’re currently taking Zoloft, please chat with your doctor before combining with any natural supplements! I truly wish you the very best going forward man.